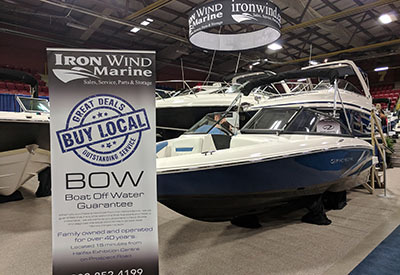 Atlantic Canada’s largest boat show returned to Halifax Exhibition Centre last week February 7th through 10th, celebrating success following an increase in show traffic and added attractions. 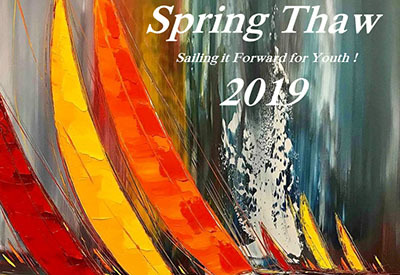 Sailing it Forward for Youth! 200 tickets at $100 pp include a welcome glass, dinner w/wine, dessert, dancing to live music, silent auction and $20 tax receipt. Some parking is available. 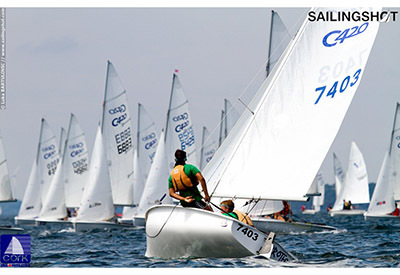 Read more: Sailing it Forward for Youth! 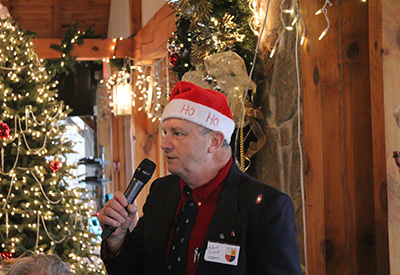 The Shellbacks Club of Toronto started their Christmas season with their annual Moosemilk luncheon. 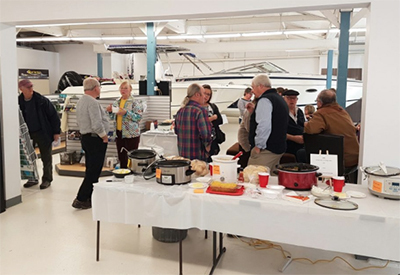 Gathering at Mimico Cruising Club, the Shellbacks had a delicious meal complemented by moose milk (egg nog and rum) and other Christmas delicacies. The buffet and dessert table that Mimico put out was spectacular. 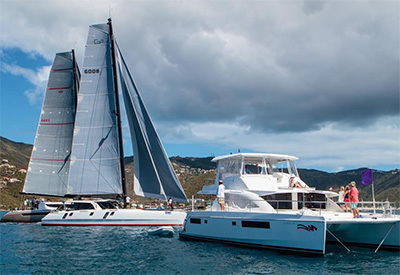 After last year’s large-scale efforts to stage the 2018 BVI Spring Regatta in the wake of Hurricane Irma, organizers and participants are looking forward to a more “normal” event this year. The stage is set for the 48thedition to begin on March 25-31, 2019. 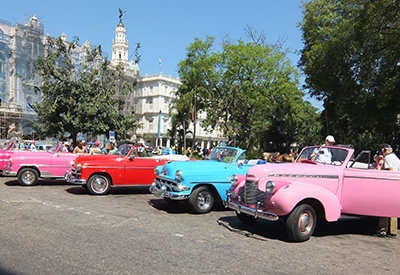 The City of Havana, Cuba, is celebrating its 500th anniversary this year and thanks to our friends at Florida Yachts Charters, you can be part of it. It has become tradition at Crate's and we welcome everyone again on Saturday, February 16 from 11am - 3pm at Showroom at Crate's, 5 Dundas St West Belleville, Ontario! To change things up we have decided to also make it a skating party so lace up! 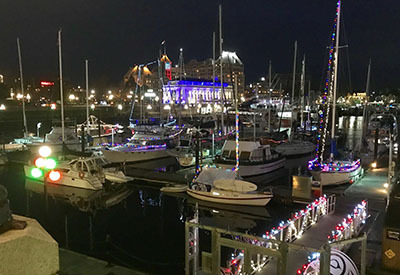 There is something extra special about bright lights that decorate communities during the Holiday Season that brings people out on brisk winter nights. 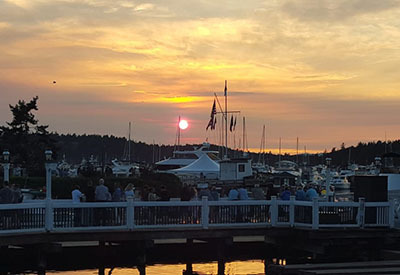 The Orcas Island Yacht Club and the Friday Harbor Sailing Club hosted the 31st annual "ROUND the COUNTY" sailboat race. 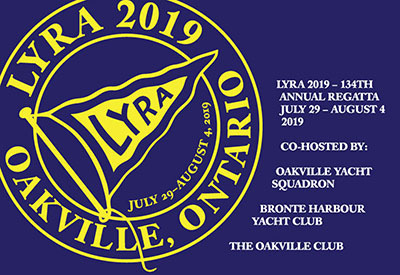 Oakville friends and neighbours Oakville Yacht Squadron, Bronte Harbour Yacht Club and the Oakville Club are thrilled to be co-hosting LYRA 2019.